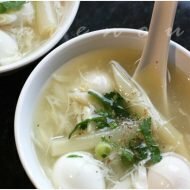 Continuing with our homey comfort foods, we present canh tan o (chrysanthemum soup). 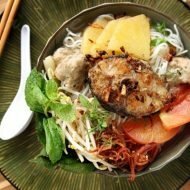 Our weekday Vietnamese meal typically has a main meat/fish dish, a vegetable side, and soup. Edible Garland Chrysanthemum or tan o or cai cuc (tangho in Chinese and shingiku in Japanese) has a delicious sweetness and tinge of bitterness that we love. It’s often used in Asian cuisine as the main vegetable in stir fries, hotpots, and soups. You can easily find this at your Asian grocery store. Avoid the chysanthemum with yellow leaves. Plus, it contains compounds that may prevent cardiac and vascular diseases, one of the top killers in America. 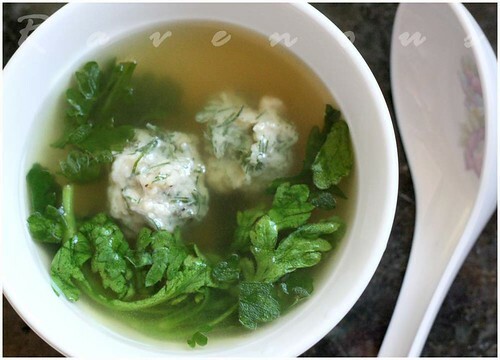 Classically, this soup is accompanied with fish paste balls with dill. For the broth, you can use water, chicken stock, or combination of both. It’s so simple to prepare and can easily be made in about 20 minutes or less. Often times, the fish paste is already seasoned. Check the packaging or ask your Asian grocer if the fresh fish paste is seasoned. If already seasoned, we just add about another 1/2 ts of fish sauce and fresh cracked pepper and dill and mix well and set aside. If it’s not seasoned, we’ll add about 1 tbs of fish sauce. Bring a medium stock pot of water/broth to boil. Using a tablespoon, scoop out balls of fish paste into the pot. Keeping the spoon wet will help with the stickiness. Allow to cook for about 2 minutes and reduce heat to medium low. Add the tan o and cook for about another 1 minute and take off heat. It doesn’t take very long for the chrysanthemum to cook and you don’t want it too mushy. Season with salt to taste. The broth will be infused with the wonderful fragrance of chrysanthemum. The dill with fish paste is also a great flavor combination. Enjoy with rice and a meat/fish dish such as ca kho to ( caramelized braised fish in clay pot) or thit kho. Tastes great and even might prevent cardiovascular disease. What more can you ask? We’re submitting this to weekend herb blogging, created by Kalyns Kitchen and hosted this week by Mele Cotte. nobel4lit: you're right chrysanthemum..is pure and healthy, but still delicious–see link above about potential cardiovascular health! I love this vegetable. We call it Tangho. It's great in soup or simply stir-fry with garlic. You are making me homesick. Oh this is new to me. We call thí rau cải cúc and pair it with beef or dried shrimps. No dill. Interesting! Ellie: The Chinese name for chrysanthemum is really similar to the Vietnamese version tan o. As Anh also mentioned it's also called cai cuc, which describes the flower. Anh: Not sure if this is the southern preparation of cai cuc, but it's how my mom always prepared it. this soup looks so soothing, comfy and delicious. perfect for a chilly night! This is a great idea, I will have to make some vegetable soups soon after all the big meat big fish big shrimp I had in Hawaii. LOL. looks great! We call it tang oh here in Singapore too! Normally we just throw them in steamboat. Glad to learn a soup recipe with this veg which I liked a lot. 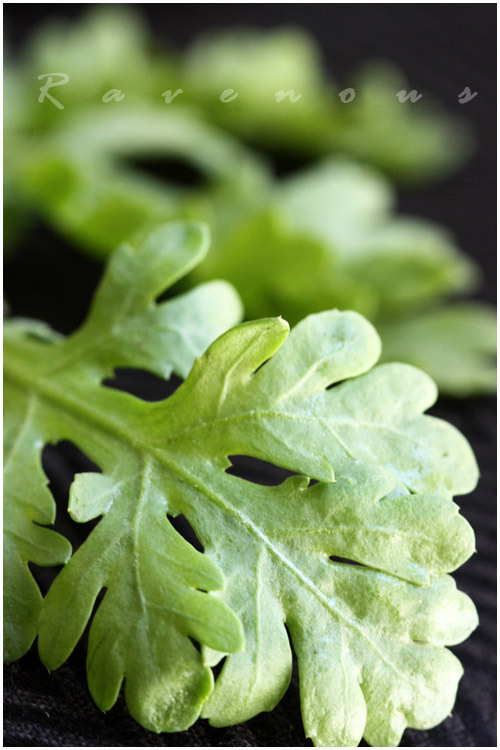 Kiss my spatula: While chysanthemum tan o is comforting for cold nights, it's actually not that bad during summers since we think the taste is very clean and can be refreshing. Bee: BIG ISLAND, BIG FOOD..hope you had a great time. 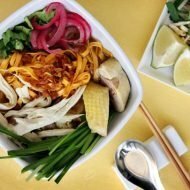 noobcook: Thanks, tang oh or tan o in Vietnamese, is really popular all throughout Asia it seems. We use it in hot pots (lau) as well. 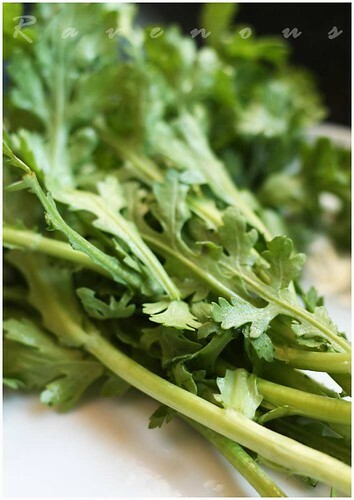 We usually use this vegetable when we make Vietnamese hot pots (La^?u). They taste awesome. Zoe: You're absolutely right–cai cuc/tan o are wonderful in lau. In fact, we just had some yeseterday! I like this made with pork instead of fish. (Never cared much for fish.) I take finely ground pork and season with white pepper. Add it as you would the fish paste.